1. 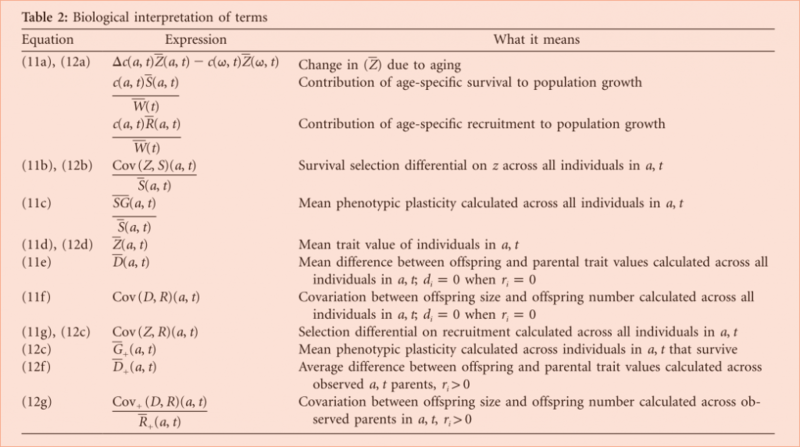 Coulson, T. & Tuljapurkar, S. The dynamics of a quantitative trait in an age-structured population living in a variable environment. The American Naturalist 172, 599–612 (2008). @scisus Here’s another example http://t.co/N2Dk3jpY (by @adaptive_plant). Always room for explicit connections to biology in theory. An excellent reminder! And sounds like a good paper too.